With the explosion in popularity of smart home devices and countless streaming media services like Hulu, Netflix, and Spotify, whole-house Wi-Fi coverage has become a must. 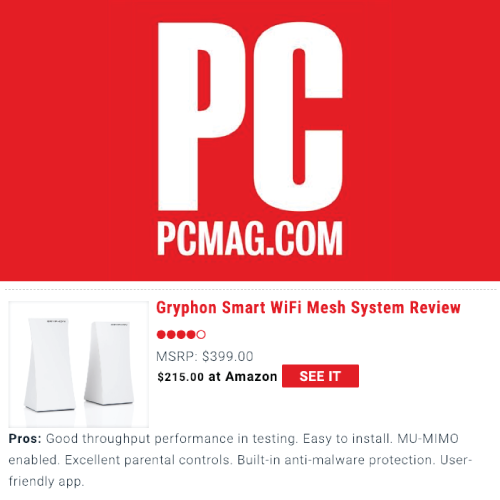 Many of the latest wireless routers can provide strong coverage to most rooms of a typical medium-size house, but larger homes and dwellings with dense walls, multiple floors, metal and concrete substructures, and other structural impediments may require additional components to bring Wi-Fi to areas that the router can’t reach. Range extenders do a good job of filling in dead zones, but typically provide only half the bandwidth that you get from your main router. Access points offer more bandwidth than range extenders, but require a wired connection to the main router. And both solutions typically create a new network SSID that you have to log in to as you move from one area of the house to another.